← Curator’s Diary 30/6/12: CT scanning Asru … and a crocodile mummy! The Manchester Museum holds 58 pale green faience shabtis belonging to a man named Horudja, a priest of the goddess Neith during the 30th Dynasty (380-343 BC). Horudja’s tomb was discovered by Flinders Petrie at Hawara, near the Faiyum, in 1888. 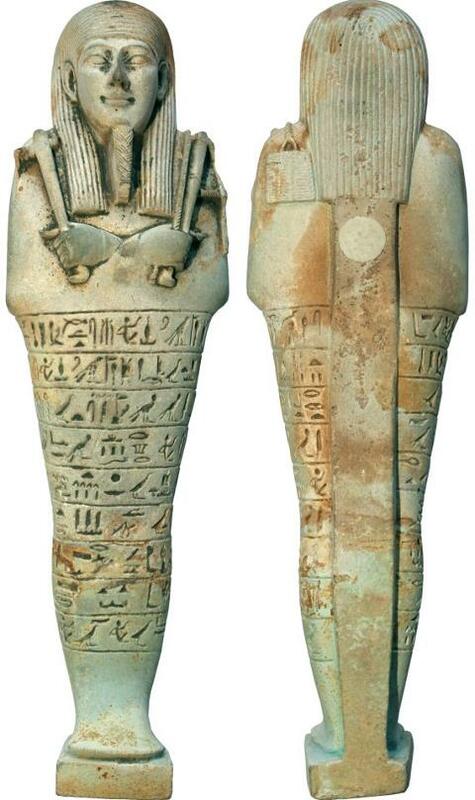 Petrie found 399 shabtis belonging to Horudja, distributed between two niches at either end of the sarcophagus. Many had been damaged by the flooding in the tomb, but most preserve the fine workmanship of a master shabti-maker. The role of shabtis (or ushabtis, as the word was spelled at Horudja’s time) as servants for the deceased is well-known. Horudja’s examples are all mummiform in shape. They each hold a pick and a hoe, and have a basket slung over their shoulder to help with their allotted tasks in the afterlife. By inscribing the figures with a text (Book of the Dead chapter 6, the ‘shabti spell’) detailing their obligations, the Egyptians ensured that shabtis could be magically activated in the afterlife. The illuminated one, the Osiris, the Priest of Neith, Horudja, born to Shedet, justified, he says: O these ushabtis, if counted upon, the Osiris, the Priest of Neith, Horudja, born to Shedet, justified, to do all the works that are to be done there in the realm of the dead – now indeed obstacles are implanted there – as a man at his duties, “here I am!” you shall say when you are counted upon at any time to serve there, to cultivate the fields, to irrigate the river banks, to ferry the sand of the west to the east and vice–versa, “here I am” you shall say. Horudja’s shabtis in Manchester will shortly be published by Glenn Janes. His book, The Shabti Collections 5. A Selection from the Manchester Museum, is due for publication in October – in time for the opening of our Ancient Worlds galleries. I’m looking forward to the publication. 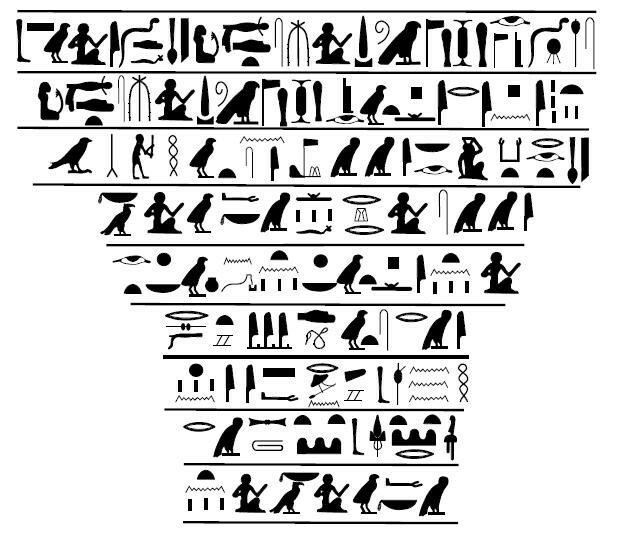 I know that “the illuminated one, the Osiris” is widely accepted for sHD wsir, but I find T. G. Allen’s “Instructions of the Osiris” or “Osiris N’s instructions” very appealing (cf. CDME p. 239, “make explanation”) with the understanding that the utterance which follows is the instruction or explanation.